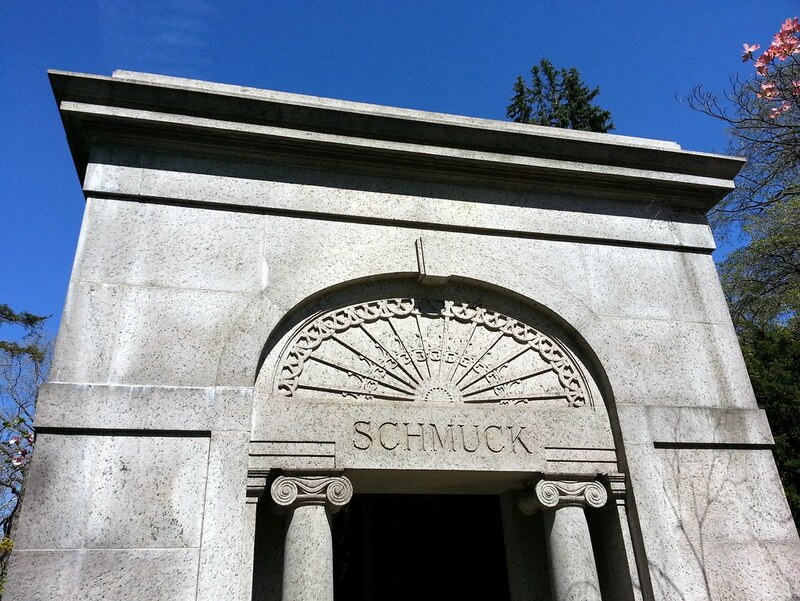 When I spotted this mausoleum, there was a worker inside cleaning it. I didn't want to take him by surprise, so I said hi and told him I was going to snap a photo. Him: No, you can't do that. Him: I don't think you can take a picture of an open one without permission. Me: Oh, that's OK. I'll just get the top part here. Him: [Stepping outside and looking up] Ah, you want a picture of the Schmuck, huh? Me: Well, let's not cast aspersions on the character of the dead [is what I wish I had said]. I live in New Zealand, visited New York some years back, and absolutely loved it!! I am so enjoying your pics – this one is classic! Thank you so much for the pleasure you are giving to many, even across the world!